Since their inception in the early 1950s, The Florida State University’s programs in audiology and speech-language pathology have been major contributors to the nation. Dr. L.L. Schendel was recruited to build and lead the new programs, which became a “division” within the Department of Speech in the College of Arts and Sciences. The programs in speech-language pathology and audiology were moved into a new Department of Communication Disorders within the newly formed College of Communication in the mid-1970’s. The department’s programs were soon accredited with the Educational Standards and Professional Service Boards of the American Speech-Language-Hearing Association. During the 1980s, 1990s and the first years of the 21st century, a number of outstanding scholars joined the faculty of the Department of Communication Disorders. The quality of its academic programs and its research programs increased markedly. For the past several years, the program has been ranked consistently in the top 10% in the nation by U.S. News and World Report. As a result, the college has continued to recruit outstanding students at both the undergraduate and graduate levels. With the July 1, 2009 merger of the College of Communication and College of Information, the department became the School of Communication Science & Disorders with the College of Communication & Information. Its focus, however, remained the same: to provide the finest academic and clinical training for the next generation of speech and hearing scholars and professionals. 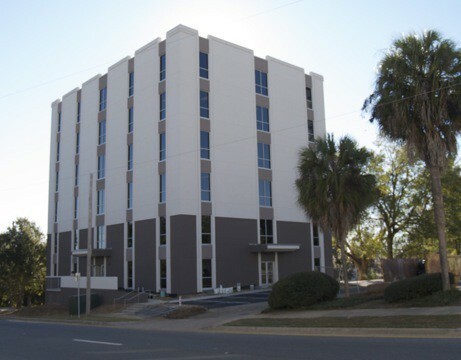 The Warren Building is the home of the School of Communication Science & Disorders and The L.L. Schendel Speech and Hearing Clinic. Located inside is the School’s hearing clinic, speech and language clinic, and graduate student learning and clinic preparation classrooms.